Click the button below to add the Afiscooter S3 - 2016 - 3 Wheel Electric Mobility Scooter - Afikim Mobility Scooters - Silver FTS3114 to your wish list. The Afiscooter S3 Outdoor Mobility scooter offers an impressive driving range, an ergonomic design to make the ride more comfortable, a programmable electronic controller, LCD control screen and LED headlights. The AfiScooter S3 is a heavy duty scooter that can carry a user weight of up to 500 lbs. It has a fully adjustable tiller and it can be fitted with a integrated canopy for protection from sun and light rain. The AfiScooter S3 3-Wheel Mobility Scooter has a fully adjustable orthopedic seat, a full suspension and a shock-absorbing steel frame. This 3 wheel mobility scooter model has superb maneuverability and unrivaled ease of steering. Afikim has a wide range of mobility scooters that combine stylish design and advanced technology with easy operation. The design of an Afikim scooter is carefully planned and designed with driver convenience in mind. These mobility scooters offer a very sturdy construction, adjustable suspension and orthopedic seating to ensure a smooth, safe and comfortable ride for the user. All Afiscooters are produced in world-class manufacturing facilities and have local sales and support for reliability and years of service. Afikim puts quality before quick changes. They evaluate changes carefully before they just jump on the next trend. The Afikim Mobility Scooter in the electric mobility industry is what the Mercedes Benz is for the automotive industry. Whether you are looking for heavy duty personal mobility, models designed for speed and/ or range, or you are interested in fold-up and take-apart models for easy transport and storage, Afiscooters can accompany you almost anywhere you need to go and they make sure you get there safely. That is why we like Afikim Mobility Scooters! Wouldn't you? Call us for any questions at 877-255 8371 and Drive your Afiscooter S3 home today! TWO-YEAR LIMITED WARRANTY For two (2) years from the date of invoice issued by Afikim Electric Vehicles to Dealer, Afikim Electric Vehicle will repair or replace at our option with any new or reconditioned components, free of charge, any of the following parts found upon examination by an authorized representative of Afikim Electric Vehicle to be defective in material and/or workmanship: Structural Frame Components, Including: -Main Frame -Fork -Seat Post -Tiller Frame -Transaxle -Motor/Brake (electronic function ONLY) -Brake NOTE: If there is an increase in the operational noise level in the transaxle, the warranty does not apply. An increase in operational noise level usually occurs due to abusive and excessive strain on the scooter. For two (2) years from invoice, Afikim Electric Vehicle will repair or replace at our option with any new or reconditioned components, free of charge, any of the following parts found upon examination by an authorized representative of Afikim Electric Vehicle to be defective in material and/or workmanship: -Bearings -Bushings -Rubber Components (except tires) -Plastic components (except body) -Electronic Controllers -Chargers -Harnesses Any other electrical subassembly The battery is covered by a separate warranty, provided by the battery manufacturer. The batteries are not warranted by Afikim Electric Vehicle WARRANTY EXCLUSIONS This warranty does not extend to those items which may require replacement due to normal wear and tear. -ABS Plastic shrouds -Upholstery -Armrest pads -Motor brushes -Brake Pads -Tires and tubes -Fuses/Bulbs -Circumstances beyond the control of Afikim Electric Vehicle -Labor, service calls, shipping, and other charges incurred for repair of the product, unles sspecifically authorized, IN ADVANCE, by Afikim Electric Vehicle -Repairs and/or modifications made to any part without specific consent from Afikim Electric Vehicle Exclusions also include components with damage caused by: -Contamination -Abuse, misuse, accident, or negligence -Battery fluid spillage or leakage -Commercial use, or use other than normal -Improper operation, maintenance, or storage NOTE: Gradual deterioration in performance because the battery has been left in a discharged state, left in cold conditions for an extended period of time, or worn out through heavy use is not covered. SERVICE CHECKS AND WARRANTY SERVICE Warranty service must be performed by an authorized Afikim Electric Vehicle Provider. Do not return faulty parts to Afikim Electric Vehicle without prior written authorization. All transportation costs and shipping damage incurred while submitting parts for repair or replacement are the responsibility of the purchaser. There is no other express warranty. IMPLIED WARRANTIES Implied warranties, including those of merchantability and fitness for a particular purpose, are limited for two (2) years from the invoice date and to the extent permitted by law. Any and all implied warranties are excluded. This is the exclusive remedy. Liabilities for consequential damages under any and all warranties are excluded. This item is custom-made by the manufacturer to suit your specific needs and is non-returnable. 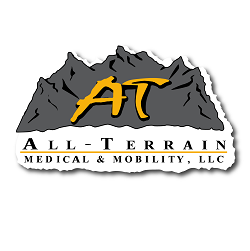 If you have questions about this product, please call your All-Terrain Medical Team at 1-877-255-8371. The Afiscooter S has surpassed my expectations! Very sturdy handling, nothing flimsy with this scooter! Great buy! Thank you so much.